I defy you, if you’re not a Tea Party member, to watch this short video without crying. Halting and stumbling owing to the concussions from the skull fractures, but so very eloquent here as he rose to the occasion. Rest in peace, Rodney. 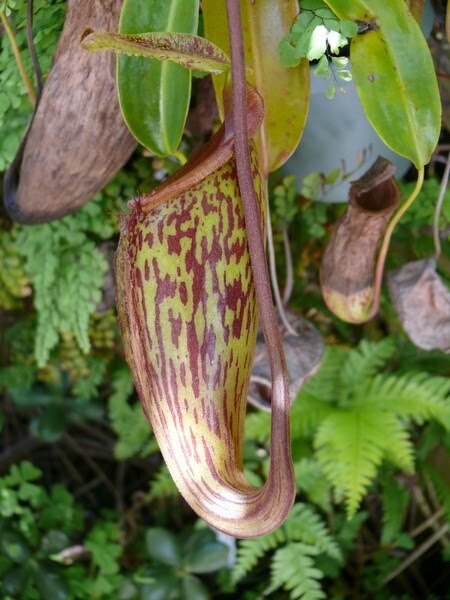 And ok, it’s not an arrangement of gladiolas, but here’s a floral tribute, a pitcher plant (i’m guessing Nepenthe genus) grown by the acclaimed horticulturalist Oliver Graves on Hartford Street.